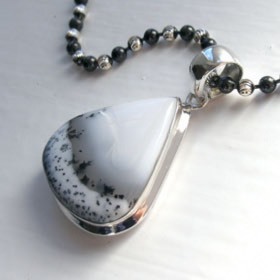 Dendritic agate jewellery set into sterling silver. 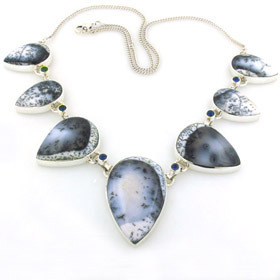 Our agate jewellery is a riot of colour. 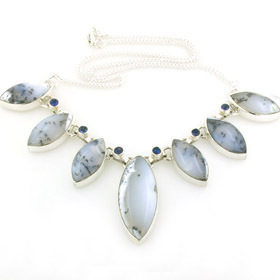 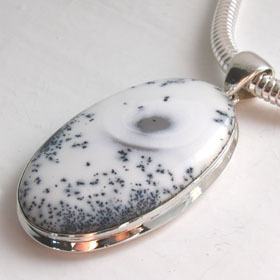 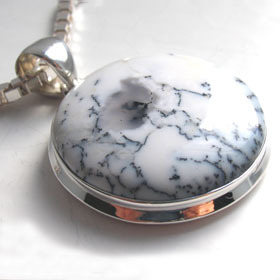 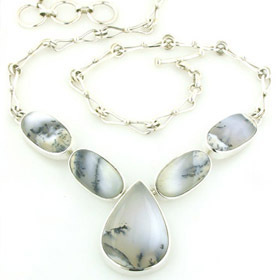 This dendritic agate jewellery is the other side of the coin - cool, white, ivory and greys. 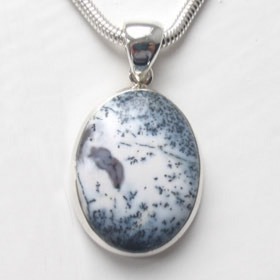 Each piece of dendritic agate jewellery is unique. 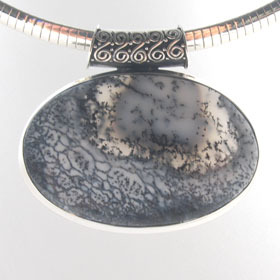 Dendritic agate and sterling silver necklace. 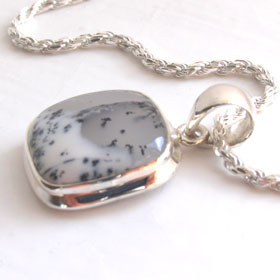 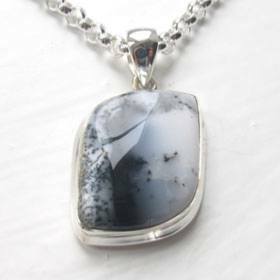 Dendritic agate silver necklace with iolites. 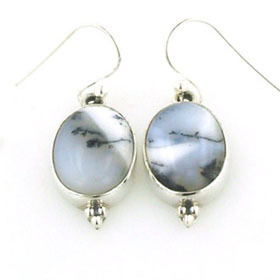 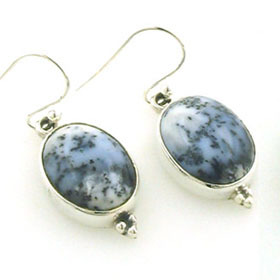 Dendritic agate oval drop earrings set in sterling silver. 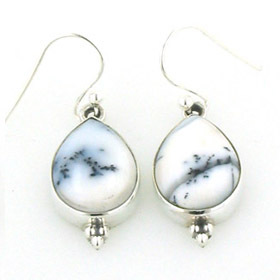 Tear drop dendritic agate earrings set in sterling silver.